First of all, New Year’s Resolutions are stupid. Because if you waited an entire year to decide you need to make some major life change, because, while unpleasant, you know it will be good for you, then why did you wait until today to start it? I’ll tell you why. Because you don’t want to do it. That’s why. And, eventually, we don’t do the things we don’t want to do. So, resolutions stink when you make them – because they are things you don’t want to do. And, they stink even more when you fail at them – because now you’re a failure. But, there are always exceptions. 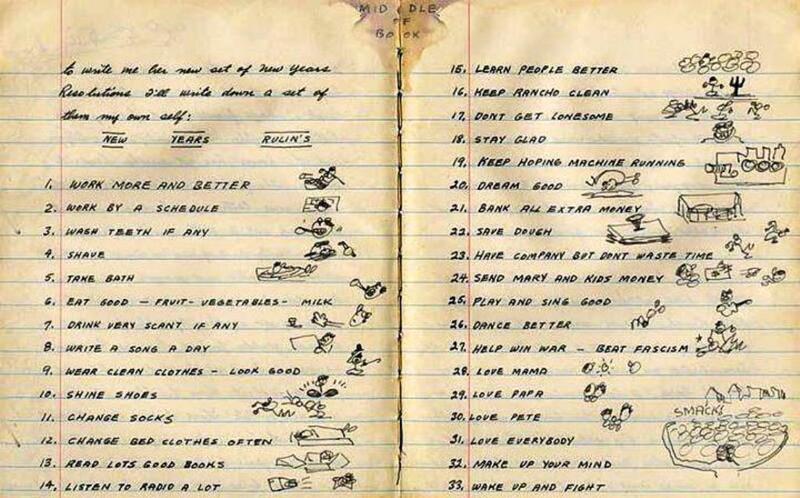 Woody Guthrie wrote these – his “New Year’s Rulin’s” for 1942. I can’t tell you if he kept them, but I’m hopeful he at least took the occasional bath and sent money to his kids. So, while New Year’s Resolutions generally stink, I’m going to try to stick with a few of Woody’s … Dream Good. Dance Better. Love Everybody. And, Keep Hoping Machine Running. May your team’s best players sign long-term deals, skipping free agency, so that they play for your team for the rest of their careers. 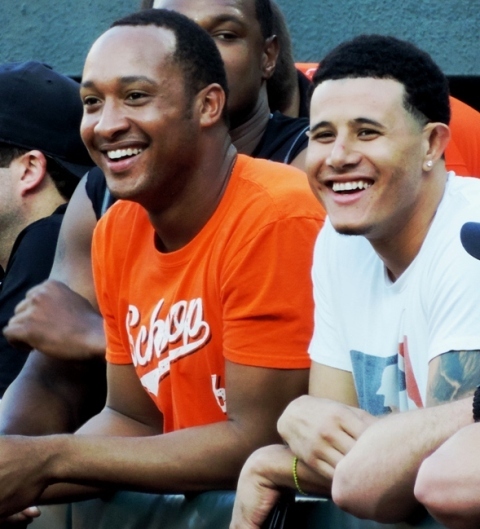 Orioles Second Baseman Jonathan Schoop (left) and Third Baseman Manny Machado (right). May your all-time favorite player be voted into the Baseball Hall of Fame (if he isn’t there already). 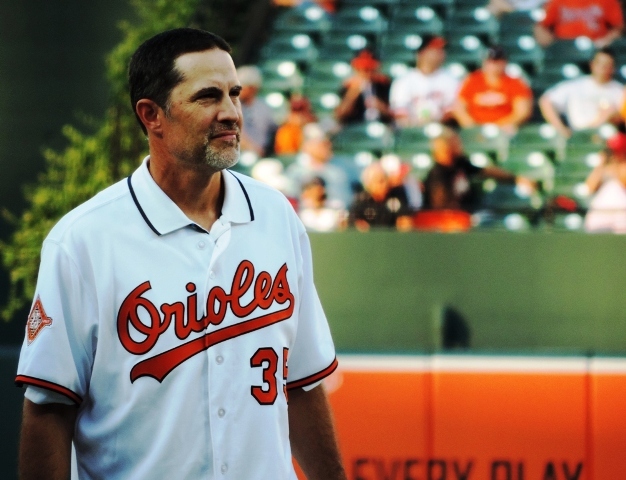 Orioles Pitcher Mike Mussina (aka Yankees Pitcher Mike Mussina). Seriously, people, why has this not happened yet? 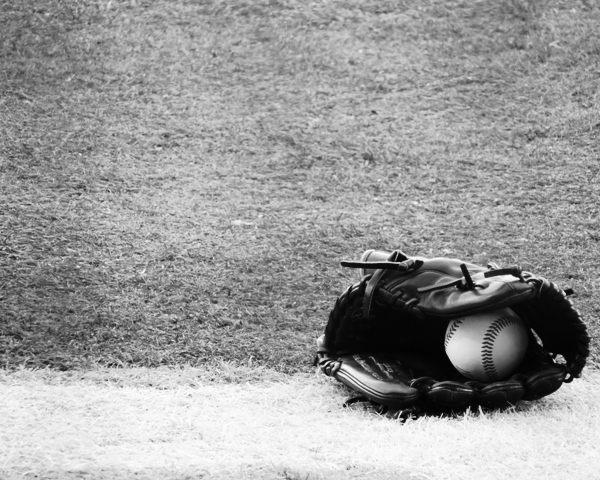 May you always have a ball and glove close by. 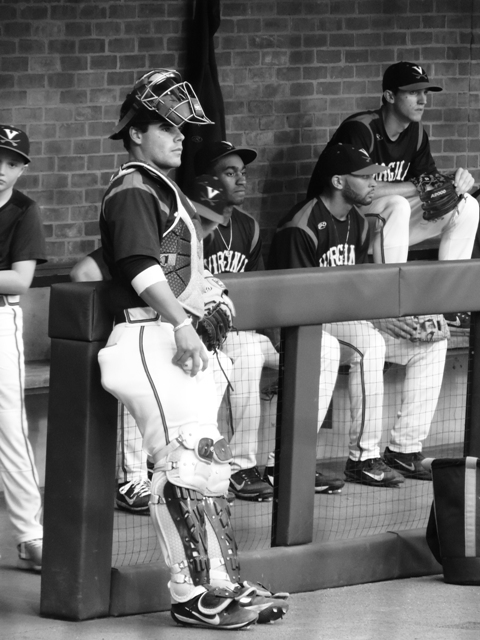 And, may baseball come soon. Keep Your Hoping Machine Running. 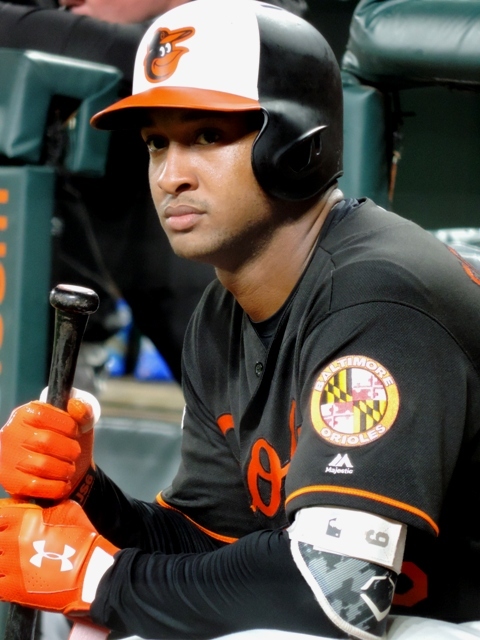 This entry was posted in Baltimore Orioles, Baseball, Life, University of Virginia and tagged Baltimore Orioles, New Year's, photography, Resolutions, Virginia Baseball, Woody Guthrie by Jackie, The Baseball Bloggess. Bookmark the permalink. And may you have a blessed 2018 in which to continue writing about your beloved O’s. And, Happy 2018 to you, Ron … I look forward to seeing more of your All-Star teams in the new year! Happy New Year, Jackie. May 2018 bring us many smiles and memorable games. “Wake up and fight.” I dig it. Happy New Year! We could use a little more Woody Guthrie right now, couldn’t we? (While the Orioles drive me mad in the off-season with their cheapness and inaction, I loved that beginning last season they added “This Land Is Your Land” to the 7th inning stretch. So perfect in these troubled times.) :) Happy New Year, Precious, and all good things to you! I haven’t thought about that song in years! But you’re right, it’s absolutely perfect these days. Maybe other teams will jump on that practice. I love this so much. I’ve never been one for making resolutions myself but I could certainly do with taking a page from Guthrie’s book (ha). Leave it to him to create beauty with such spare lines. I love the “wash teeth if any” and the aching “don’t get lonesome.” And I delighted in his “middle of book” note. You do find, and share with us, the greatest gems. And you certainly make the “love” bit easy. Happy New Year to you and editor/husband! I hope it will be a grand one for you both.